For supper tonight I was feeling inspired to make Mexican after the great Mexican food we had in San Diego. 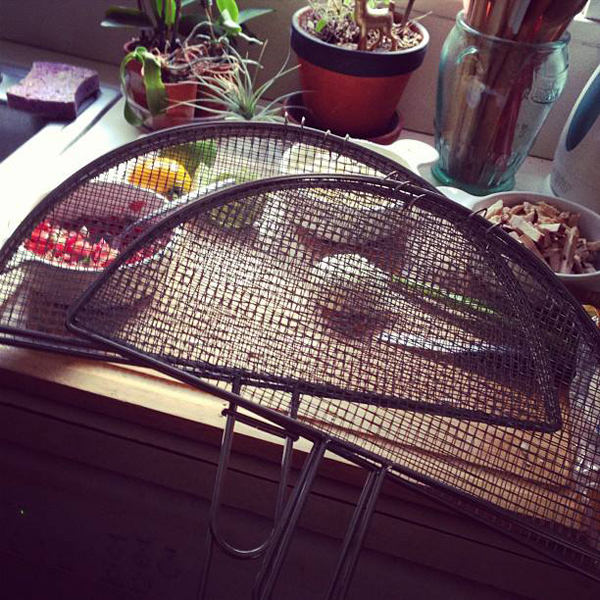 When I spotted these quesadilla grill baskets on clearance at Wegmans, it sealed the deal. 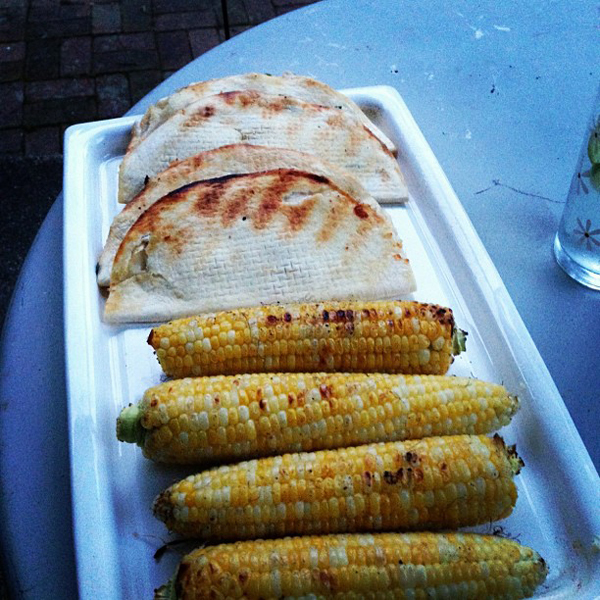 We grilled chicken and cheese quesadillas on the bbq grill along with corn. The corn got fixed up Mexican style with mayo, lime juice, cojita cheese and cayenne pepper.